In what could be a crucial first shot for the environmentalists vote in an upcoming Australian Federal election, Labor leader Bill Shorten has stated a couple of goals need to be achieved in respect to electric vehicles. The goals themselves are simple to read. By 2030 half of all new vehicle sales are to be of the electric variety. By 2025 half of the Australian government’s fleet are to be electric. 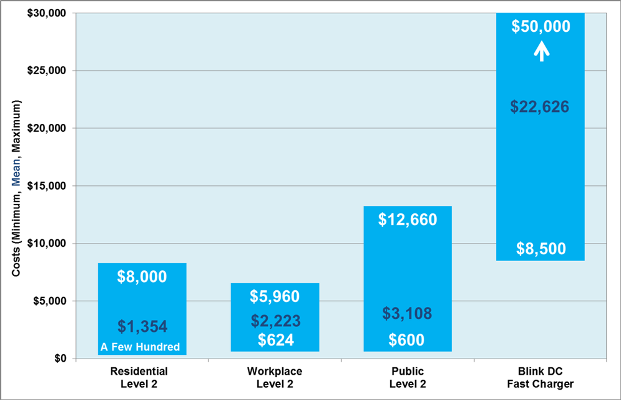 A change to the taxation structure for businesses needs to be implemented, in that an allowable deduction of 20% for depreciation for private fleet EVs of a cost of over $20,000. Sounds relatively simple. However, the devil is in the detail. There are self-interest groups such as the Australian Institute of Petroleum. There are the pricing issues of EVs versus petrol/diesel/hybrid cars. Then there are the human factors such as “range anxiety”, a lack of knowledge of where charging points are, and even a push-back against the technology itself. There are elements of distrust to be overcome also, and yet there are a couple of fair questions, such as the cost of a replacement EV battery, and the ecological impact of dissecting and recycling (if possible) the battery’s elements. https://www.drivezero.com.au/electric-car-charging-stations/ is one of many sites to use but the end result is that maps do show just how accessible a charge point is, and this site also shows state by state and the kind of plugs available. It is, absolutely no doubt, a barrier. It’s been raised over and over again and although a brand or two can be pointed to as being “exxy”, in real terms an EV is far cheaper than what they potentially could be. But then there is the actual CHARGE cost. WhichCar editor David Bonnici provided some figures in late 2018, saying: the new Nissan Leaf consumes 10kWh/100km. If you’re paying 0.28c per kWh (an average price during peak periods within Victoria) it will cost you $2.80 (10kW x 0.28) to charge it enough to travel 100km. The Leaf has a claimed 400km range, which means a full charge will cost you $11.20 ($2.80 x 4). When plasma TVs then LCD TVs were introduced, their costs were seen as stupidly prohibited, with rumours at the time of release of a TV network, being an early adopter, paying $30K for a 42 inch plasma. Plasma has gone the way of the dodo and now 8K tv is on its way, which will spur the production of 8K content, even as DVD still, somehow, manages to hang on. The screens have come down in cost and by huge margins. In screen size and in quality those have gone up. The point here is that technology has a habit of dropping in real price terms for the level of tech being offered. There is simply no reason to expect EVs to reverse that trend and the Tesla Model 3 is an example of that. 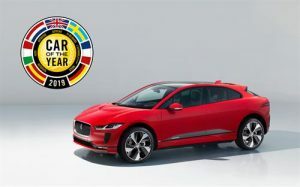 Then: The Jaguar I-Pace on the other hand is rated at 19kWh/100km, which means it costs $5.32 for a 100km trip and $25.53 for a full charge to travel its claimed 480km range. Considering the ridiculous fluctuation in unleaded petrol prices, which at the time of writing are around $1.40 for E10, that charge cost isn’t so hard to deal with. The timeframe for a partial or empty to full charge is also coming down, with better battery charging technology making substantial differences. The Nissan Leaf, for example has varying rates depending on source. Starting from a depleted battery, about 20 hours at 110-120V (depending on amperage), approximately 7 hours at 208-240V (depending on amperage) and about 30 minutes at 480V (quick-charging station). Tesla’s solar powered and battery fueled supercharger stations offer a different setup. The supercharging stations charge with up to 135 kW of power distributed between two cars with a maximum of 120 kW per car. They take about 20 minutes to charge to 50%, 40 minutes to charge to 80%, and 75 minutes to 100% on the original 85 kWh Model S.
This article was NOT intended to be an in-depth industry look. 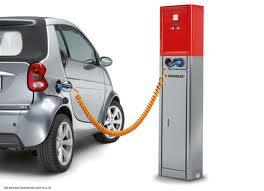 It was intended to provide a general overview at what is involved in the EV business. It is not intended to be an endorsement or dis-endorsement of a Labor policy. There is and will continue to be misinformation and misunderstanding and lack of knowledge of where to go for a charge but that information is readily available as fact. The answer to the question posed is yes. It can be done. There are a few VERY important factors to be overcome, such as infrastructure, information provision, and perceived cost. And then there is the perception of how a purely electric vehicle drives. What about a steam powered car? In recent times people’s consciences and attention has turned to more environmentally friendly ways of commuting. So with electric, hydrogen, hybrid and bio-fuel vehicles all available on the current automotive market, why not give steam another go? Perhaps the biggest hurdle for a steam powered comeback is the grip that the oil companies have on automotive power. However the winds seem to be changing, with more-and-more people reflecting on how their lifestyle and decisions impact on the environment. Internal combustion engines produce a lot of pollution and tend to be rather noisy. Without a doubt cleaner burning engines are resonating with buyers who have cash to spend. EVs and hybrids are expensive but there are people very happy to buy them. The external combustion steam engines could not be manufactured as cheaply as Henry Ford’s internal combustion engines. Steam engines were also much heavier engines. It took several minutes before the boiler was hot enough for the steam motor to generate power for take-off. These difficulties created the “Warehouse and Kmart” phenomenon of today, where people flock to where the cheap buys are regardless of the impact. But with today’s modern materials, steam cars could be as light as their internal combustion engine alternatives. With a new advanced condenser and a fast heating boiler, the possibility of a modern-day steam car with decent efficiency and a warm-up time that’s measured in seconds rather than minutes could provide the comeback punch that steam needs to become an attractive and viable option for new-car buyers. Just ponder on this for a moment – a new modern motorcar running on steam that has powerful seamless acceleration instantly, is clean burning, very quiet and, unlike combustion engines, can run on almost any fuel that produces heat. Steam engines don’t need any gears or transmissions. They are much more in the same vein as EV cars that have all their torque available at any rpm. Due to the fact that steam provides constant pressure, unlike the piston strokes of an internal combustion engine, steam-powered cars require no clutch and no gearbox – making them extremely easy to drive. By virtue of their design, steam engines provide maximum torque and acceleration instantly like electric motors, and particularly for urban driving where there’s lots of stopping and starting, clean-burning steam would be great! What developments in steam have occurred since it rudely got forgotten and laid aside? Some good news is that in 2009, a British team set a new steam-powered land speed record of 148 mph (237 km/h), finally breaking the Stanley Rocket’s record which had stood for more than 100 years. In the 1990s, a Volkswagen Enginion (a model for research and development) boasted a steam engine that had comparable efficiency to internal combustion engines, but with lower emissions. And, in recent years, Cyclone Technologies claims it has developed a steam engine that’s twice as efficient. It might have preceded the internal combustion engine by around 200 years, but as the world is finally starting to take a serious look at the future viability of personal transport, perhaps the wonder of gliding by steam power will once again be seen on our modern roads. 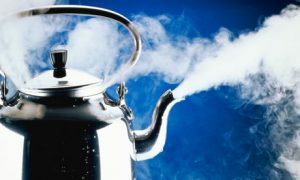 In an age of touchscreen infotainment systems, EV cars that can do 400 km on a charge and driverless cars, surely there is room for new, clean-and-efficient steam cars. Currently the increased focus on environmental responsibility could be weakening the link between the oil industry and modern motorcars. Wouldn’t you just love to be able to fill your car up with rainwater and head off on your work commute! Hyundai Kona Electric Is Revealed. Hyundai Australia has teased and drip-fed information about the fully electric Kona, and now have provided a full overview. There are two crucial points in the information, with the first being the expected usable range from a full charge. That’s 449km. The second is the retail price. That’s $59,990 plus on road and government costs. 80% charge from zero can be reached in as little as 54 minutes when plugged into a 100kWh charger, otherwise will take longer from the more easily accessible charging stations and from a home based charger. A 50kWh charger will take 75 minutes to reach 80% whilst the onboard 7.2kWh charger will take over nine hours using a domestic current setup. Power and torque from the 64kWh battery powered motor is substantial. It’s rated at 150kW, and 395Nm of torque. They’re good enough to get the Kona Electric to 100km/h in 7.6 seconds. Drive is via a single gear style transmission, and the Kona Electric has a regenerative system that can be adjusted on the fly via the paddle shifters. Smart technology allows the driver to bring the vehicle to a stop simply by holding the left paddle. There will be two model levels, the Elite and Highlander. Both will have the same drivetrain. Both will feature the same high specification safety package as well. 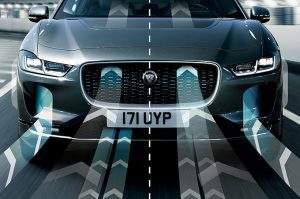 Called SmartSense it features Forward Collision Avoidance Assist, Forward Collision Warning, Smart Cruise Control with a Stop and Go function, and a Driver Attention Warning to alert drivers of potential fatigue. Lane Keep Assist, Blind Sport Collision Warning and Rear Cross Traffic Collision Warning will also be standard. 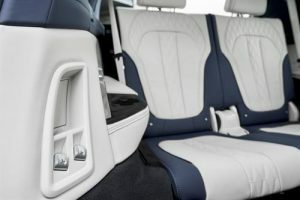 Also standard will be DAB+ pumping through an eight speaker Infinity system, Apple CarPLay and Android Auto, Bluetooth connectivity, and accessed via an 8.0 inch touchscreen. Highlander gains wireless charging for compatible smartphones, a glass roof, powered front seats with venting and heating, and a heated tiller. Extra tech comes in the forms of a Head Up Display, High Beam Assist, LED lighting front and rear, and a frontal park assist system. Hyundai Auto Link, a smart app, allows owners to stay in contact and monitor their car. A SIM module is required for the Kona Electric. The exterior has some discernible changes compared to its petrol powered sibling, notably the closed in front end. The rear bumper has been reprofiled for better airflow, and the rear lower lights have been given a change too. Wheels will be 17 inches in diameter. A choice of six colours (metallic is a $595 option), Galactic Grey and Phantom Black, Ceramic Blue, Pulse Red, Lake Silver and Chalk White, come with choices (depending on exterior colour) of interior trim. and a no cost two-tone body & roof option on Highlander will be made available. Here and there are aspects of weight saving, such as the alloy front control arms, Advanced High Strength Steel (10% lighter and twice as rigid as normal mild steel), plus adhesives to back up welding points. Servicing is every 15,000 kilometres and comes with a fixed $165 cost. The abttery comes with a 8 year or 160,000 kilometre warranty. Contact your Hyundai dealer for more details. Tesla Unveils Model Y SUV. Tesla has released details of their Model 3 based electric SUV. Dubbed the Model Y, it slots into the mid-sizer SUV space and will be priced from USD$39,000. That price is applied to the Standard Range version. It will also come in Long Range, Dual-Motor All-Wheel Drive, and Performance variants. Tesla say the Model Y will be able to reach 62mph/100km/h in 3.5 seconds, and should see a top speed of 150mph/240km/h. Range expectations are 230 to 300 miles for the Standard and Long Range versions. 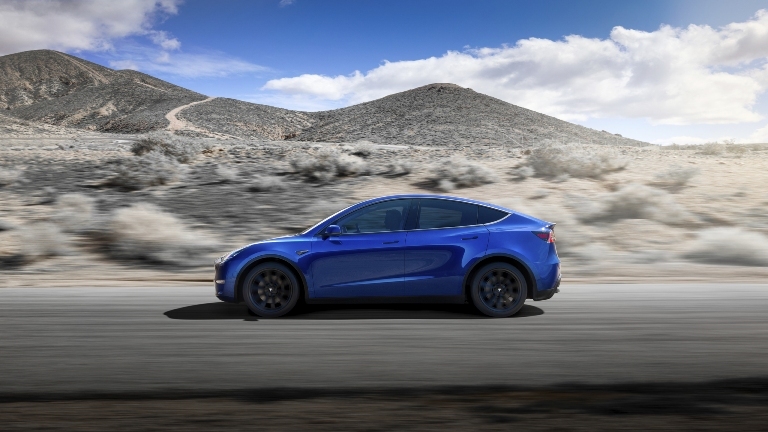 The Model Y will be available for sale in the U.S., according to current expectations, in the autumn of 2020 in the northern hemisphere for the Model Y Performance, Long Range Rear-Wheel Drive, and Dual-Motor All-Wheel Drive variants, with Standard Range vehicles due in 2021. Model Y will feature a panoramic glass roof to provide an extra sense of space inside the mid-sizer for the seven passengers. A single 15 inch touchscreen will provide driver and passenger information and comfort. There is an application for smart devices that can be installed also, allowing a driver to enable pre-airconditioning, remote unlock, and a Summon mode. 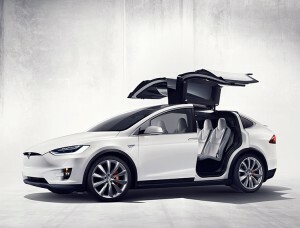 Notable, however, will be the Model Y using the normal door method with vertically aligned hinges, and not using the costlier Model X gull-wing system. Naturally the Model Y will be compatible with the extensive charger network and will be able to take advantage of the forthcoming V3 charging rate system, which will provide a rate of up to 1,000 miles worth of charging in an hour. Expected release dates for the Australian market are yet to be confirmed. Fresh from the success of his Space-X mission to the ISS, Elon Musk‘s other love, Tesla, has released information on a change to their car charging system. Called V3 Supercharging, it brings a massive change in how Tesla cars are charged, and drastically lowers the charging time. To be rolled out in the U.S. initially, V3 Supercharging moves to a different charging point, with a solitary charging cabinet, as Tesla puts it, with a 1 MW (megaWatt) capacity able to provide a new Model 3 Long Range car with up to 75 miles worth of range in just five minutes and the equivalent of one thousand miles of range in just an hour. The cabinets themselves will now provide one car with one power source, with the previous method a power-share model meaning if two cars were attached to the one charge cabinet, charge rates were slower. By providing a single stream, Tesla anticipates average charge times to drop to 15 minutes for a full charge. Another innovative change to the Tesla charge system is a pre-warming of the batteries as the car approaches a charging point. Called On-Route Battery Warmup, the onboard system recognises the car’s proximity to a Tesla or compatible car charging point. By warming the battery on approach, it means the chemical makeup of the battery is more respondent to the incoming charge. This is anticipated to reduce charge time by up to 25%. The overall changes are anticipated to reduce the overall charge time by 50%, and increase the number of cars being charged in the same amount of time. Tesla will add more to their existing charging system too, with their current V2 superchargers, numbering over 12,000 worldwide, to be updated to a 145kW charge rate. The improvements are forward planning for the release of the recently re-priced Model 3 and the forthcoming Model Y. Asia-Pacific stations are currently scheduled for a Q4 2019 update. 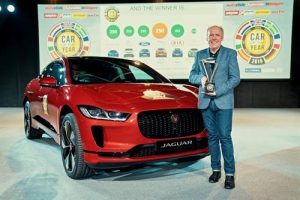 Jaguar’s low slung all electric five door i-Pace has become Jaguar’s first car to win the European Car Of The Year award. It’s an award that is voted upon by sixty journalists from 23 countries. The award looks technical innovation, design, performance, efficiency and value for money. 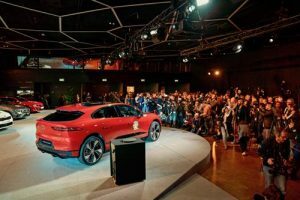 To date, the i-Pace has found over 8,000 homes with around 75% of those in Europe. There’s obviously plenty of good reasons for the car to be so popular. The driveline, for example, delivers up to 294kW and 696Nm of torque, and with a pair of electric motors working together in a near perfect weight distribution, a zero to one hundred time of 4.8 seconds is just a flex of the right ankle away. Road manners are Jaguar’s exacting standards. Torque Vectoring by Braking is standard in the i-Pace; it’s a system that delivers controlled independent braking on the individual inside front and rear wheels to add to the turning forces acting on the car. For the driver that wants to push the i-Pace even harder, an optional airbag suspension system can be fitted. This will drop the i-Pace by ten millimetres to help aerodynamic flow at speeds over 105 km/h. Both of these are backed up by the Coventry firm’s Adaptive Dynamics monitoring system. At up to 500 times a second, the onboard system will read input from the throttle, the actual acceleration rate, braking, and the suspension to provide a best as possible ride and handling experience. Gone a little dirty? Then the All Surface Progress Control and Low Traction Launch systems will help out in low speed driving conditions. The power system gets looked after too. Active Vanes open and close behind the grille and front bumper air intakes to provide cooling air when required for the electrical system. Enhanced Brake Regeneration feeds kinetic energy back into the power grid almost as soon as the driver lifts their foot from the accelerator. 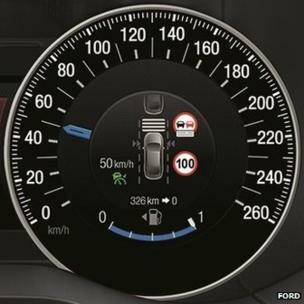 Heavy Traffic Braking is a variable system that adds power back in city driving stop/start. Contact Jaguar Australia for information on the 2019 Jaguar i-Pace. 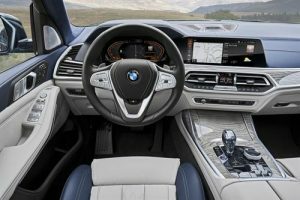 BMW has released details of the soon to land in Australia X7. For the time being, power will come from only diesel engines, with petrol to follow later. 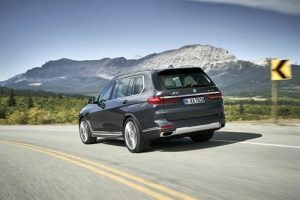 It’ll be a two model range to start, with the BMW X7 xDrive30d starting from $119,900, and the BMW X7 M50d from $169,900. 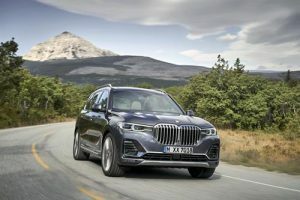 The BMW X7 xDrive30d will have a “TwinPower” twin-turbocharged inline six-cylinder diesel engine with variable turbine geometry. It’ll pack 195 kW of power and 620 Nm of torque, meaning that can reach 0-100km/h in just 7.0 seconds. 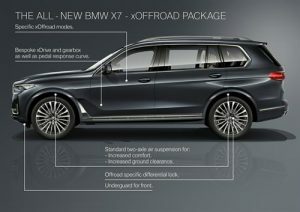 The X7 M50d goes up a notch, with an uprated TwinPower quad-turbocharged inline six-cylinder diesel engine with two variable-vane turbines and two conventional turbines. There’s a more than impressive 294kW and a startling 760 torques. 0 – 100 is a very decent 5.4 seconds. Both will power down via BMW’s eight speed Steptronic transmission. This has been recalibrated to feature a wider gear ratio spread. BMW’s much vaunted xDrive will be on board. xDrive is a smart drive system that varies drive torque split between front and rear wheels to optimise traction and power efficiency. Both will also have, thanks to xDrive, a rear biased drive feel. BMW’s tuning house, M Sport, offers a differential on the rear axle to ensure a smooth power transfer in the BMW X7 M50d, maximising traction and ensuring optimum handling on all terrains. It’s available for the X30d as part of the xOffroad package. The BMW X7 xDrive30d will have 20-inch alloy light wheels as standard. The BMW X7 M50d has 22-inch M light alloy wheels for extreme road presence. Ride will come courtesy of a two-axle air suspension with automatic self-levelling. The system is smart enough that it can adjust the height of the car with the engine off and will go up or down by 40mm. There is some smart tech in the X7, it’s able to adjust the suspension for each individual wheel to achieve balance in an unevenly loaded car. More smarts come from Executive Drive Pro, and Integral Active Steering. Both will showcase exceptional cornering abilities and standout agility. Seating is flexible, as anticipated. A 40/20/40 split for the second row seats is one option, a 60/40 split is also available. 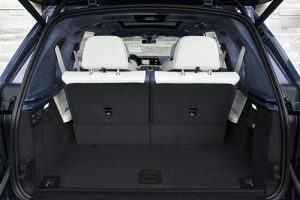 Standard cargo load is 326L, and that goes to 750L when the third row is flattened. All seats down offers up 2,120L, and a powered tailgate makes rear access easy, especially with the wave of a foot underneath the rear bumper. Extra luxury comes from a panoramic glass roof, aluminuim roof rails and aluminuim window surrounds, BMW Head Up Display, 3D camera system that shows a top down/360 degree, and a 12.3 inch dash display. Head to BMW Australia for more details and to lodge your inquiry. AEB. 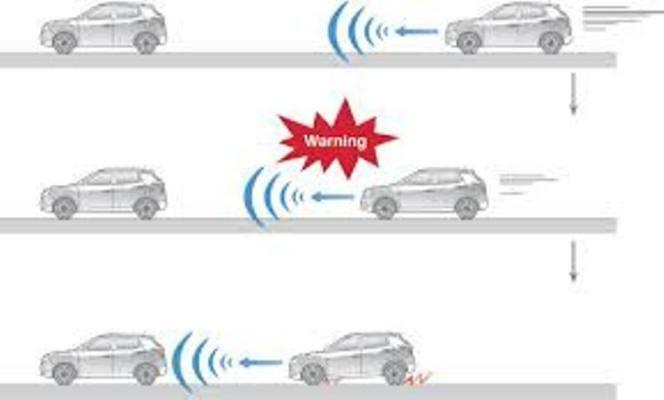 What Is Autonomous Emergency Braking? 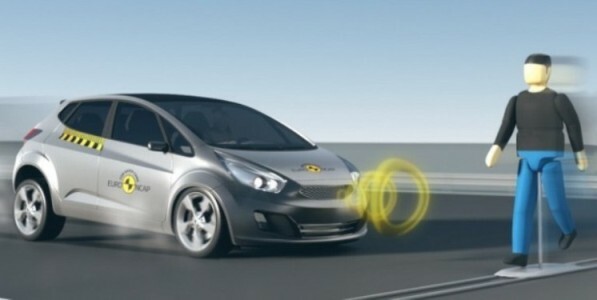 A recent announcement that says Australia has signed off to have all vehicle brought to the country fitted with Autonomous Emergency Braking has some far reaching implications for how people drive and the potential for lives to be saved. But what exactly is AEB? Most AEB systems use radar, a pair of cameras and/or lidar-based technology to identify potential collision partners ahead of the car. This information is combined with what the car knows of its own travel speed thanks to internal sensors and direction of travel to determine whether or not a critical or potentially dangerous situation is developing. If a potential collision is detected, AEB systems generally, though not exclusively, first try to avoid the impact by warning the driver that action is needed. This could be in the form of a visual warning such as dashboard mounted flashing lights, or physical warnings. If no action is taken and a collision is still expected, the system will then apply the brakes. 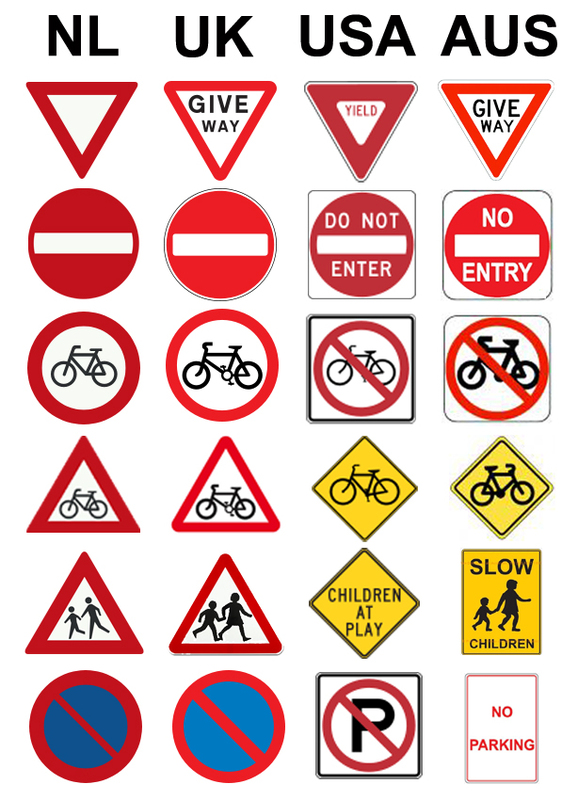 Some systems apply full braking force, others may be more subtle in application. Either way, the intention is to reduce the speed with which the potential collision takes place. Some systems deactivate as soon as they detect avoidance action being taken by the driver. However, some vehicles provide false positives, where the system reads an object not in the path of the vehicle as a collision potential. But wait, there’s more. Most early systems were configured to warn of larger objects such as cars. Developments have seen these being finessed into providing pedestrian warning as well, a boon considering the semeing rise of those under the thrall of smartphones and screen time as they walk blithely unaware into the path of oncoming traffic. The aforementioned agreement now means that it won’t be just passenger vehicles such as a sedan or wagon being fitted with AEB, it means that SUVs and vehicles such as 4WD capable utility vehicles must also receive the upgrade. ANCAP and Euro NCAP found in 2015 that the inclusion of AEB led to a 38 per cent reduction in rear-end crashes at low speed. That will change under UN requirements which set strict minimum standards requiring vehicles to be able to take action from speeds up to 60km/h, and come to complete stop when traveling at 30km/h or less. Therefore the expectation is that the percentage will increase. However the technology will not stop one crucial part of the driving equation occuring: the idiot that believes road rules don’t apply to them. A suitably impressive piece of engineering. The powerplant is tractable to a fault, with performance across the rev range that combines with the genuinely excellent manual gear selector and clutch. Out test period coincided with a drive to Dubbo and perhaps an out of the comfort zone test for a vehicle more suited to the suburbs and track days. The Cup Chassis pack adds the aforementioned wheels and brakes, plus a Torsen front diff, and revised suspension. Inside the dampers are extra dampers, effectively an absorber for the absorber. And along with the noticeable change in ride quality when Sport or Race are selected, the rough tarmac heading west made for an interesting test track. To utilise the Megane RS 280 properly is to understand what synergy means. From a standing start and banging the gears upwards to sixth, or to press down on the go pedal at highway speeds and see the old ton appear (allegedly) in a few breaths is to feel what a truly well sorted engine package can deliver. Crack on, and the metric ton appears in 5.8 seconds. It all happens because everything works so well together. The steering is instinctive, as is the ride and handling. And using the drive modes makes a real difference in an unexpected way. Unusually but not unexpectedly, there is torque steer if booting hard from a standing start. However that Torsen front diff quickly dials that out, keeping the sweet looking front end on the straight and narrow. The clutch and gear selector are perfectly paired to complement the engine’s free revving nature. The clutch is smooth, well pressured, and the actual gear pick up point is ideally placed towards the top of the pedal’s travel. Selecting the six forward gears is via a beautifully weighted and sprung lever, with a lift up lock-out to engage reverse. Normal driving conditions have the Megane RS 280 quietly doing its thing. Light the candle, engage Sport or Race, and the rough, pockmarked, tarmac past Bathurst changes from a minor annoyance in Neutral to a flatter, more enjoyable ride quality. Think of corrugations spaced apart enough for the wheels to rise and fall over them, then suddenly close up to the point that the car feels as if it’s riding over the peaks alone. Throttle response is sharper as well, and is perhaps more noticeable from a standing start. With the final drive seeing peak torque at highway rated velocities, it also means that a simple flex of the right ankle has the Megane breathe in and hustle on with alacrity. The already communicative steering gains an extra level of vocabulary when changed to Sport and Race. There’s a weightier feel in the turns, imbuing the driver with a sense of real connectivity to the front end. Combined with the 4Control rear steering adjustment, corners become flatter and straighter. One extra nifty piece of tech came from the GPS and satnav system. Between the towns of Wellington and Orange is a set of average speed speed cameras, and the GPS flashes up on the screen to advise what the average speed of the car is. Some judicious driving and watching the indicated average speed change, and that’s a good thing. Three years for any sports oriented model down from the standard five. Service the Megane RS 280 Cup Chassis at a Renault dealership and there’s up to four years of roadside assist plus up to three years capped priced servicing. Renault has competition on both sides of the price point. But having a six speed manual nowadays makes the Megane RS 280 a standout for those that like to be engaged and involved in the driving experience. The Orange Tonic paint is an eyecatcher, and unfortunately attracts tryhards like pollen to a bee. As a driving experience, it’s not unlike slipping into a tailor made suit and shoes, as everything just feels….right. But the lack of aural caressing, and the lousy DAB tuner, as part of the overall experience, dull the sparkle. But not enough to get out of the 2019 Renault Megane RS 280 Cup Chassis without a grin of pure pleasure. A good start in finding out more is to click here.